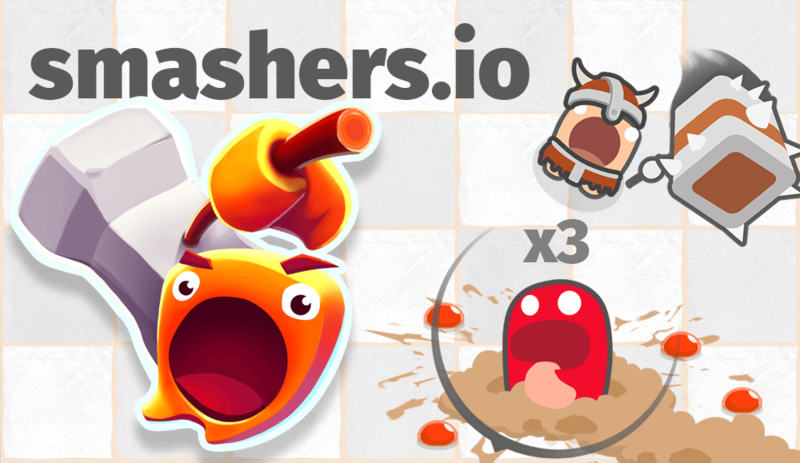 Smashers.io | Play Smashers.io free on iogames.space! Clown Games presents a brand new and unique game: Target and smash your enemies, collect the dots and grow your hammer. Show no mercy to the worms around to grow faster. Control your character with the mouse and use space bar or the left click of the mouse to smash your enemies with your hammer. You can move faster and hit harder by pressing W or using the right click of the mouse while sprinting. Don't forget to collect pieces to have a bigger hammer! Use your hammer to smash as many enemies as possible. Whack the worms to grow faster. But watch out the bigger worms! Hit them before they stun you.